Islamist daily Vahdet covered Turkish courts’ past rejections of closure requests made against LGBTI associations Kaos GL and Lambdaistanbul as the “judicial promotion of immorality”. Vahdet was founded in December 2014 by journalists who left Yeni Akit, another extremist newspaper infamous for its hate speech against ethnic, religious and sexual minorities in Turkey. As the last part of its discriminatory attacks, the paper put forth news about the closure requests against Kaos GL Association in 2005 and Lambdaistanbul LGBTT Solidarity Association in 2006. Islamist and conservative media organs have been instrumentalizing homophobic and transphobic hate discourse to attack the ruling Justice and Development Party (AKP) as the country’s LGBTI movement rises despite having no support from the government. Vahdet claimed that “the immoral circles gain protection to continue their activities freely due to some judicial verdicts”, targeting previous decisions in favor of LGBTIs’ freedom of expression and organization. The new addition to Vahdet newspaper’s list of news reports targeting LGBTI is the one about LGBTI high school group that will join the education rally and boycott [on 13 February 2015]. Source: “Vahdet’in hedefinde Liseli LGBTİ var: Sapkınların hedefi liseliler” (“High School LGBTI group targeted by the newspaper Vahdet: High Schoolers targeted by perverts”), kaosGL.org, February 6, 2014, http://kaosgl.org/sayfa.php?id=18663. The report which claimed that citizens do not want LGBTI people in the schools also reprinted a report from kaosGL.org about an “8 year old transgender child’s coming out rap”. The report, which characterized the call by the LGBTI student group for ungendered restrooms a disgrace, was titled “Restroom Scandal in High School”. 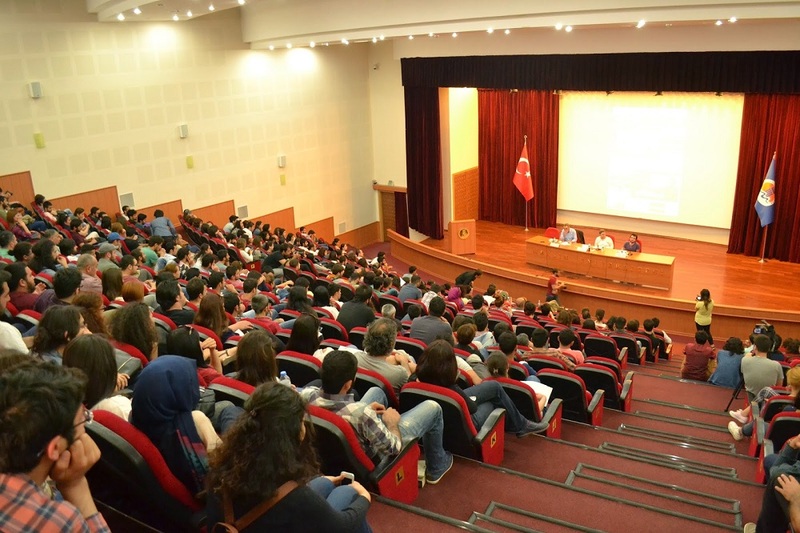 The high school LGBTI group had protested in a press statement the news report by Yeni Akit last March (2014) titled, “The Perverts Pester High Schools”. The group called “High School LGBTI” who demand that girls and boys restrooms be joined in schools, is preparing for an education boycott. The pervert group is also seeking to enlarge their field of action by inviting students to picnics and pervert film screenings. Sexual pervert groups who have the support of the CHP and HDP turn to high schools to inject the youth with their immorality. The perverts who founded the group “high school LGBTI” are seeking to enlarge their field of action by inviting students to picnics, trips and pervert film screenings. The pervert group who decided to join and support the “Secular Education-Democratic Life” Rally which will be held on February 8th in Kadikoy led by Egitim-Sen and Gezi Park activists also stated that they will join the school boycott on February 13th, also organized by the same groups. The pervert “High School LGBTI” group will use the slogan “No to backward, sexist, homophobic education!” in protests where hatred will be spewed against Imam Hatip Schools. There are concerns that the pervert “High School LGBTI” group will spread their activities inside the schools and classrooms once classes resume. The “High School LGBTI” group demands the abolishment of gender segregated restrooms in schools which cause gender discrimination as their first target. Parents who object to the pervert group state that they should not be allowed to turn schools into protest fields. 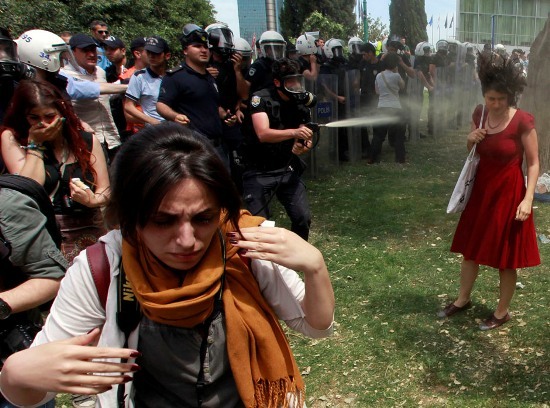 This refers to the activists who joined the historic anti-AKP Gezi park protests in June 2013 in Istanbul.